We wrote a piece in Production Machining August 2009 about the “New Domestics.” You can read it here. 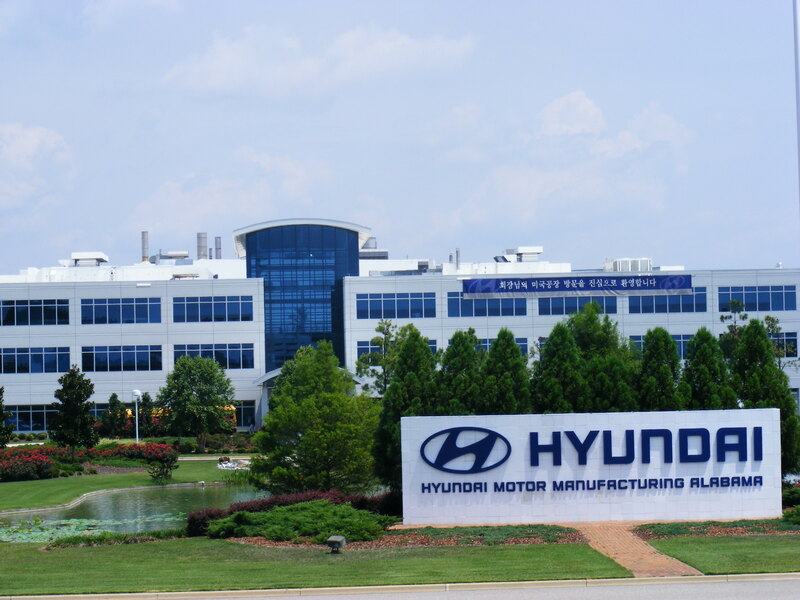 Researching for that piece, and for a presentation to the PMPA’s Automotive Market Supplier Group, I visited Hyundai ‘s North American plant in Alabama. Good enough in Logistics to be the USAF benchmark. I was impressed with what I saw and learned, stuff that they don’t make a big fuss about, but that tells you they are playing their “A Game. ” Not just cool engineering stuff, but stuff like, the fact that THE US AIR FORCE IS BENCHMARKING TO HYUNDAI ALABAMA ASSEMBLY OPERATIONS FOR LOGISTICS. Well, my comments weren’t exactly resoundingly welcomed by many in my audience, who, understandably, had plenty of pain due to their business exposure to the “old domestics…” But while staying up on automotive trends (you never know when the phone will ring with a great question) we found this story in the Detroit News. Hyundai Sales Rise During 2009 Auto Sales Crisis. Hyundai Motors Co. can claim something no other major carmaker can: It sold more cars in 2009 than it did in 2008. While automotive sales industrywide have fallen by 23.9 percent in the U.S. and carmakers struggle to survive, Hyundai has thrived. “In 2009, we learned to never let a crisis go to waste,” said John Krafcik, Hyundai U.S. president. The details in this story are worth a review. What is your shop’s plan to get “New Domestic” business? That is where the sales growth is. Are New Domestics in your long term plans? We were impressed by what we saw during our tour of Hyundai. And we know first hand how much domestic steel goes into those New Domestic Honda’s that they are made down in Marysville, Ohio- we used to sign the certifications and test reports for their steel when we were still in the steel industry. There is a real market for high quality materials and components among the NewDomestics. The New Domestics are building cars, selling cars, and making news. How about you? This entry was posted on Thursday, December 31st, 2009 at 5:25 am and is filed under Engineering, Front Office. You can follow any responses to this entry through the RSS 2.0 feed. You can leave a response, or trackback from your own site.